The Academi Wales Advisory Board has been established to bring together relevant people willing to use their expertise and experience to advise on the key leadership challenges and opportunities in Wales. As Chief Executive of a Unitary Authority, Gareth provides strategic and analytical advice on a daily basis. His professional training as a Solicitor and Chartered Manager has allowed him to develop these skills throughout his career. Gareth is passionate about developing Welsh Public Sector staff and providing opportunities for them to become the Leaders of the future, by identifying those who have the ability and capability to be the inspirational leaders of the future. Gareth advises and informs on key drivers impacting on those working within the public and third sectors in Wales to influence change and improve their skills, knowledge and behaviours. Collaborative and Partnership Working is essential however; to have the very best leaders in Wales leading public services work needs to be undertaken on breaking down cultural and institutional barriers within some areas. Gareth is happy to play a key role in identifying and being part of a team to influence this change in order to deliver the very best for Wales. Sue is the Accountable Officer and Chief Executive of the recently established Social Care Wales, with responsibilities for workforce development and service improvement, which are informed by our work with the sector and Welsh Government Ministers and officials. 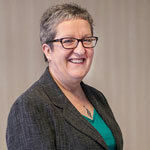 As a recent addition to the Academi Wales Advisory Board, Sue is very interested in becoming a member of the new Board where she is able to represent the social care sector and have a wide range of connections from UK and Welsh policy, through to senior managers and operational practitioners working within the public, independent and third sector. 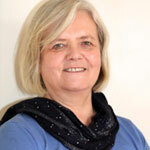 Sue has a strong interest in personal and professional development, evidenced by the achievements of those who have worked with her throughout her career in the voluntary sector, health, housing and social care. Sue endorses the approach to develop One Public Service for Wales and believes future leadership roles need to demonstrate multi-professional and inter-organisational understanding and commitment to deliver an efficient and effective response to citizens. Sue is familiar with many of the theories and tools of leadership and management, learning through a combination of reading, discussion with others, formal learning and active utilisation of new practices in the workplace. She has found Action Learning Sets to be particularly helpful throughout her career, where confidential and mutual peer support has been invaluable. Sue has recently joined a new group, established from her participation in the Academi Wales Winter School in 2017. Catherine has both a research interest in public boards and leadership and also practice in terms of improving the leadership of public services. Catherine leads the University’s Centre for Social Policy which is focused on improving public policy and management within Wales’ public services. The Centre undertakes consultancy and supports public organisations in terms of training and development in areas including Political Awareness and Improving Public Services. With a colleague, Professor Jennifer Law, Catherine has recently completed two research focused studies for Public Health Wales – one focused on reviewing the strategic options facing the NHS Centre for Equality and Human Rights and the other on the Strategic Enablers and Barriers to the successful implementation of the Well Being and Future Generations Act 2015. 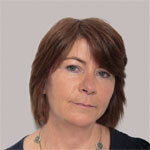 Her research interests are in the areas of governance and the changing roles of professionals in public services. She has published widely on school governance and the role of public boards in public service improvement. She is currently researching different models of public board governance including the stakeholder and skills based approaches in a range of different services including the fire and rescue service and also mapping the roles and activities of senior elite professionals in the health service. Throughout her career, Catherine has been engaged in important community and public service networks which promote the ‘third mission’ and the promotion of knowledge and also building the reputation of the University of South Wales. These links have been developed through research, consultancy and also teaching. 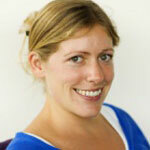 Nia is responsible for the organisational and staff development function at the University. Working at a senior level in the University, she is aware of the challenges facing the public sector that needs imaginative and innovative solutions by its public bodies to support its leaders and staff. Nia effectively contributes to networks and groups on an all-Wales level and believes this will be extremely helpful to her in making a constructive and useful contribution to the Academi Wales’ Advisory Board. Nia is aware of the many drivers impacting on the public sector and, although less so, on the third sector in Wales. Clearly there are many challenges such as the impact of Brexit and considerable budgetary challenges to enable the public sector to meet its objectives. In the HE sector we have huge challenges in terms of the general decline in applications for places, a potential reduction to research funding due to Brexit and implementing the recommendations of the Hazelkorn review to name but a few. These drivers will pose considerable challenges for the leaders and managers working in the public sector and it will be necessary to effectively support leaders through difficult organisational change. Nia is a fluent Welsh speaker and regularly writes reports in Welsh. She presents workshops through the medium of Welsh in the University and for the Coleg Cenedlaethol Cymraeg, and attends meetings within the University where the discussion is through the medium of Welsh. Prior to her retirement from full time employment in the NHS in 2015, Judith worked as an Executive Director on a variety of Boards for 20 years. This was primarily as a Director of Human Resources/ Workforce and OD and briefly as an Assistant CEO(OD). In these roles Judith took part in the development of strategy for a variety of organisations and dealt with a great deal of data which she was able to analyse to ensure full grasp of key facts. Judith links with a number of third sectors groups in her role at Hywel Dda. 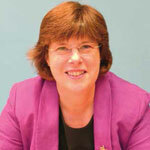 As Vice Chair, she has particular links with third sector organisations and carers in Mental Health. Judith has built up good links with primary care in the Hywel Dda area, particularly working with GP Clusters. Judith has recently taken on the role as Carers Champion and believes there are many opportunities to improve the support for and involvement of carers in all aspects of services. There are many pressures on those working in public services day to day and it is vital to ensure they are involved in the future changes which are required to make services sustainable. Judith believes Academi Wales is ideally placed to continue to support and develop these staff. Alex has worked in the NHS for approximately 27 years, with 15 years experience at Board level in the NHS for 15 years influencing and contributing to strategy at organisational level and in statutory and regional partnership arrangements. As a result of her own positive experiences in undertaking personal development, Alex takes a keen interest in helping others develop to keep pace with the changing demands upon them. As Chief Operating Officer she recognised that one of the key drivers for today’s workforce was the need to be able to implement service improvement effectively in challenging environments. Alex lead on the development of capacity and capability in improvement methodologies across the Health Board as an essential skill set for leaders today. Alex supports this by promoting access to internal and external training, building these requirements in to person specifications and rewarding and recognising success. Alex also encourages access to coaching training as another key skill which she believes is essential for leaders today if we are going to truly develop an empowered workforce with a focus on continuous improvement. Ruth’s experience is as a Chief Executive, Board and Director level leader of charitable and public sector organisations. 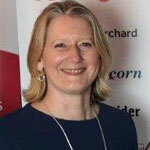 She has managed UK wide business, political, media and other stakeholder relations at the highest, most visible level. Ruth’s long standing commitment to the voluntary and public sectors is evident in the services she has developed and delivered, which enhance people's well-being and quality of life, and are commercially sustainable. Ruth has a detailed understanding of the most pressing issues facing the not for profit sector, including austerity and budgetary pressures requiring efficiency savings and the need to do more with less. Passionate about improving the lives of disadvantaged people and communities, Ruth is keen to further her contribution in a strategic manner and play an active role in teams where her broad range of skills, knowledge and contacts can deliver challenging objectives. Ruth is really interested in becoming a member of the Academi Wales Advisory Board for three reasons. Firstly, to contribute to the work of Academi Wales by maximising the benefits of collaboration across the Welsh public service. Secondly, to increase the links and connections with the 3rd sector nationally, regionally and locally because she feels it will have a positive impact on public services and wider civic society. Finally, Ruth has worked with and benefited from Academi Wales over many years and believes she has a range of experiences that could make a valuable contribution. 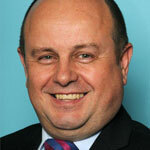 Simon is currently the Principal and CEO of Bridgend College, a £27 million turnover organisation. Since his appointment in 2013, as a leader he has overseen a dramatic turnaround in the performance of the organisation against a backdrop of swingeing cuts. These achievements are the result of development in my own leadership skills through training. Leadership development is crucial if our public services are to improve in increasingly challenging times. Simon is passionate about developing people and see Academi Wales as integral in supporting our leaders to develop and play their part in ensuring that Wales thrives as a nation for the benefit of its people. He believes in creating a culture of 'High Challenge and High Support' and in creating an environment where people can achieve. ESTYN commented recently that the "culture of the College supports staff to innovate and take risks", Simon believes that this philosophy would add value to the work of the Academi Wales Advisory Board. Simon has experience in serving on the Board of Sport Wales and has just finished an extension to his second term. This has been an invaluable experience where he gained a great understanding of the line between governance and management. As part of this role, he chaired the Community Sport project group and has also served as a Board Member of ColegauCymru, the voice of the FE sector in Wales. As a small agile nation, Wales has an opportunity to lead the way in collaborative Leadership with a consistent national approach to innovative leadership development. Simon believes in the work of the organisation having attended events arranged by Academi Wales and would like to play his part in helping to shape the future direction of leadership development in Wales which is so critical to our nation's success. 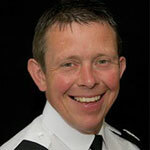 Jeremy is the Assistant Chief Constable with South Wales Police (SWP) and is responsible for Professional Standards, Criminal Justice, Specialist Operations and the Public Service Centre. As part of the executive team within SWP he also has collective responsibility on making policy and resourcing decisions in providing a policing service to a population of over 1 million people across South Wales. 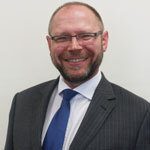 Jeremy has a track record of thinking strategically having served in senior leadership positions across North and South Wales having both developed and delivered organisational strategy, overseeing significant change programmes including delivering significant savings in response to successive comprehensive spending reviews. Jeremy is a fluent Welsh speaker and has given extensive media interviews across a number of topics related to policing. As a public sector leader within Wales he is interested in supporting and influencing the strategic direction of leadership development within Wales. Increasingly he sees public sector leaders who are willing to challenge the status quo and who are keen to join up their efforts in making our communities safer, more resilient and more prosperous. He is keen to support the development of support networks and leadership programmes which focus on the central challenge for the public sector; the broadening requirements of public sector agencies (faced with growing and more complex needs) and budgets which have been and continue to reduce. Our leaders must focus on value and not waste and the opportunity to help equip people to do this is an exciting one. Jeremy is passionate about living and working within Wales and would relish the opportunity to help improve the way our public sector delivers services to our communities. In her role as Deputy Chief Executive at the WCIA, a small charity, Susie operates daily at a strategic and analytical level, taking the organisation through a strategic review to simplify and broaden our appeal, keeping our vision, mission and long term objectives in mind. At the same time she manages the detail of several projects and programmes simultaneously, with responsibility for monitoring and evaluation across the whole organisation. She takes full responsibility as a leader which includes constantly ensuring we are making the best possible use of public funds (as a charity), and making difficult decisions about programmes and staffing as required by this commitment. She is responsible for WCIA policies, sits on the Governance Committee at the WCIA; and has been instrumental in supporting governance improvements at the WCIA. As a leader in a third sector organisation, Susie is very aware of the drivers impacting on the organisation, team members, partners and stakeholders, as well as those in her wider networks. She is involved in UK and European projects and networks which give opportunities to identify shared drivers and challenges as well as possible solutions/ways forward. This is particularly relevant in light of Brexit, the rise of right wing extremism and austerity; developing adaptive, innovative, cooperative and learning behaviours is increasingly important. Susie’s first experience of Academi Wales was the inspirational Summer School 2017; Academi Wales is a fantastic organisation delivering an excellent service across Wales and Susie would like to contribute her insights from working in the third sector, particularly the challenges facing smaller organisations, together with her varied leadership experience.